During the summer of 2017, I had the pleasure of working with Kay Tita during the summer quarter for HCDE 601. It was an unforgettable experience that challenged me academically, professionally, and spiritually. My reflections are below. Kay Tita is a sustainable community resource organization that cultivates partnerships, raises capital, and facilitates impact investing opportunities in Port-au-Prince, Haiti. The organization was created by Haitian-American, David Pierre-Louis, inspired by the 2010 devastating earthquake that hit the country. Kay Tita, which means “Tita’s House” in Haitian Creole, is named after Pierre-Louis’ mother, Tita. 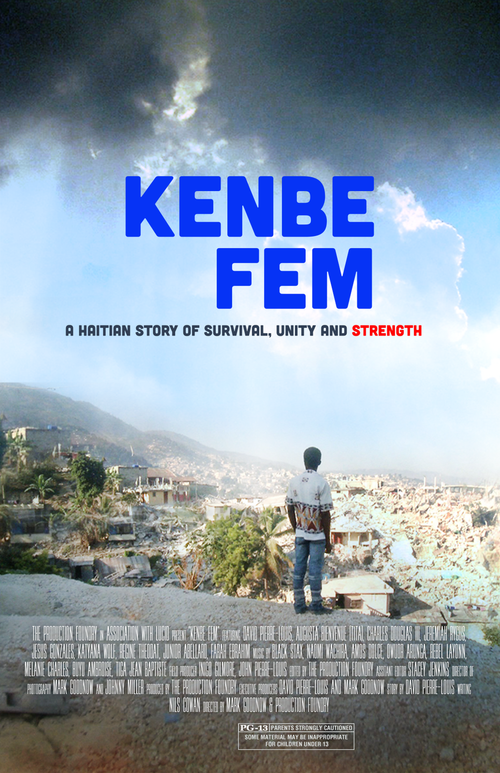 In 2017, the documentary film, Kenbe Fem, was screened in over 21 cities across six different countries. The film takes viewers on a journey along with Pierre-Louis as he travels from Seattle to Port-au-Prince in search of his mother amidst recovery efforts. Kay Tita was founded shortly after the earthquake, with a vision to rebuild Tita’s house into a community resource center. The path toward construction is underway, and when the doors are opened, Kay Tita will be the greenest commercial building in Haiti. It will produce more energy than it uses, in accordance with the Living Building Challenge. The center will also house Impact Hub Port-au-Prince, and will join Impact Hub’s global network of more than 15,000 members located in over 80 locations. Impact Hubs are described as part innovation lab, part business incubator, and part community center that offers members a unique ecosystem of resources, inspiration, and collaboration opportunities to grow their impact. In 2016, Kay Tita helped to launch the first annual Port-au-Prince Startup Week. Techstars Startup Week happens in over 75 communities in cities all over the world. The conference brings entrepreneurs and local leaders together over five days to build momentum and opportunity around a community’s unique entrepreneurial identity. Participants choose from events led by entrepreneurs that take place in various venues across the city. During my time as a graduate student in the University of Washington’s Human Centered Design and Engineering (HCDE) program, I have had the opportunity to learn about many topics that have helped me in my career as a Program Manager working with teachers and students for TAF (Technology Access Foundation), in my current role as the Startup Advocate for the City of Seattle’s Office of Economic Development working with new tech companies, and as a board member for Kay Tita helping to connect Haitian entrepreneurs with resources. In my experience, the user-centered design methodology is a process that has been applicable in many situations I find in my work, whether building a product or technology, or creating a new service or program. Because of its iterative flow, I am able to investigate a topic using user research methods, think divergently about new ideas, or converge on a particular prototype before evaluating its effectiveness. In addition to design thinking principles, I have also been introduced to relevant theoretical concepts in human computer interaction that augment my experience and provide frameworks for inquiry. Often, these frameworks challenge designers to examine the bias they inherently carry and to critically observe the context of the environment they’re entering. As a person that identifies as a heterosexual male of African descent living in the United States, I have gravitated toward both post-colonial theory and self determination theory - concepts that I find most compatible with my cognitive orientation. Both theoretical perspectives are relevant to my interest and experience in helping to empower people and organizations in resource-constrained communities. Post-colonial theory is a descriptive theory that attempts to assess the impacts of imperial power on culture from periods of colonization, including the current moment. Free, escaped, and enslaved Africans fought for, and won, their freedom from France in 1804, during the Haitian Revolution which was led by Toussaint Louverture in 1791. It was the largest and most successful slave rebellion in the Western Hemisphere. After defeating chattel slavery and colonization by the French, Haiti became the first black republic in the world. It is difficult to decouple the fact that in 1825, France militarily forced the new country to pay for the five hundred thousand humans, which they equated to 150 million francs, with the fact that today Haiti has one of the lowest GDP per capita in the Americas. In 2004, Haiti became the first former colony to demand reparations from its former colonial oppressor, but the demand was rejected. The United Nations has had a $350 million annual budget for its operations in the country, but is now set to leave by the end of 2017. In 2010, the UN was found responsible for a cholera outbreak that has killed close to 10,000 and sickened almost 700,000. Reparations to the victims of this outbreak were also refused after being petitioned for in 2011. Psychologist Edward L. Deci explained that self determination theory asserts that humans have three intrinsic needs in order to accomplish positive well being and growth - relatedness, competence, and autonomy. Relatedness is the desire to feel connected to others, competence is the desire to master and be effective in our environment, and autonomy is having a sense of free will and personal initiative. A ribbon that appears on the coat of arms found on Haiti’s flag says, “L'Union Fait La Force” or “Unity makes Strength.” Also, the national motto found in the Constitution of Haiti is "Liberty, Equality, Fraternity." This accurately describes the Haitian people - self determined even in the face of seemingly insurmountable obstacles. As a person of African descent living in the United States, the influential beginnings and the consistent resolve of the Haitian people inspire me. The effects of the “original sin” of slavery still impact my community today - physically, psychologically, and economically. Armed with the context of post-colonial theory and self determination theory, I was excited to work with Kay Tita and learn more about Haiti first-hand. The HCDE program has also allowed me to explore the field of HCI4D or Human Computer Interaction for Development. My research on the topic has revealed that the common deficit mindset of experts cannot be overcome by simply deploying participatory research and development. Instead, collaborative co-creation through long-term community engagement within the context of social, economic, and political realities is the direction that is necessary for appropriate technologies to emerge from developing regions. With these concepts in mind, during my time working with Kay Tita, I sought to support an emancipatory process, similar to user-centered design, through the action research methodology. I’ve previously written about action research in the paper, “The Inquiry Spiral: Action Research in HCI”. The action research method aims to empower subjects and uncover sustainable solutions to local problems via an iterative and reflective process. The method accounts for the bias of the researcher, as well as recognizes the value of the subject’s context and perspective in each step of the research process. Action research brings the tension of power between subject and observer to the forefront by empowering subjects as researchers for the purpose of producing new knowledge and change. Action research can be seen as a spiral of planning, action, and evaluation. Breaking this spiral down even further, we see problem formulation, design of an intervention, action, observation of the effects of the action, reflection, and then back to formulation of the problem using new knowledge from the previous cycle. The problem that Kay Tita sought to learn more about was the lack of sustainable systems that connect local Haitian entrepreneurs with the Haitian Diaspora community abroad. Pierre-Louis identified mentoring as one of the key resources that could have a significant positive impact, and that is where I started the focus of my work during the project. How might we connect the Haitian Diaspora community? and to facilitate awareness and collaboration amongst the Haitian Diaspora community. As the project team formed, there were many backgrounds represented - Haitian-Americans, African-Americans, European Americans. There was also a diversity of experience - product management, design, engineering, and business development were some of the skills represented. Since only a few of our team members were familiar with the work environment in Port-au-Prince, a deep dive into life in Haiti was necessary to ground our thinking. Semi-structured interviews, along with a survey, were conducted in order to identify current constraints, and affordances (see Table 1). During the week at Microsoft, the team of about 7 people used this context in order to create personas, ideate around technical solutions, and build a prototype. The first iteration of the solution allowed for intake of information about local entrepreneurs in Haiti and their relevant needs, and matching of those needs with experts from the Haitian Diaspora community using html, Linkedin API's, and Google Forms. The next step was to execute deeper collaboration and evaluation of the prototype with entrepreneurs in Haiti. During the week of the 2017 Port-au-Prince Startup Week, I traveled to Haiti to better understand Haitian culture and to work with local entrepreneurs in creating the mentoring platform. Kay Tita was one of the sponsors for the conference, along with other organizations that support entrepreneurs in the region, like Activeh and Impact Ayiti. Although I had to work with a translator to understand the content of the workshops, I could easily recognize the passion and pure ambition that was present. It felt amazing and inspiring to be amongst so many people that were starting and growing businesses, in spite of obstacles that would easily halt most people from action. The first event I participated in was a panel on mentorship, where I was able to share my thoughts on being a mentor, approaching a mentor, and working with mentors. It was insightful to hear the perspectives of how people in Haiti maintain mentor relationships, formally and informally, and to compare and contrast this process with my experience in the United States. Much of the mechanics were similar, however tools like Linkedin were not as widely used. and a presentation of ideas from participants. The interviews and the design thinking workshop happened simultaneously. While the entrepreneurs were interviewed by Kay Tita volunteers in an adjacent room, I started by explaining the design thinking process, which is much like the user-centered design methodology - empathize, define, ideate, prototype, and test. Attendees rotated between participating in the interviews and joining in on the workshop. One of the most fun times I had during the trip was the warm-up exercise before the ideation portion of the workshop. The group was split into two teams of about 10 people each. Both teams got 5 minutes to think about how they would redesign a banana, and then present sketches of their ideas. Next, each team critiqued the other’s sketches and practiced giving generative feedback. The teams carried their excitement into the ideation phase of the process, where they got 15 minutes to brainstorm how they might connect local entrepreneurs with mentors. The remaining time in the workshop was spent presenting results from the previous brainstorm. Although Kay Tita came to Port-au-Prince with a mentor connection prototype, we were aware that the perspective that informed the initial design was skewed, since previously the only users involved in its creation were people from the Haitian Diaspora community. The workshop allowed for co-creation with the other user group, validation of previous insights, and a more informed iteration of the future prototype. It also built trust between Kay Tita and the participants, who might be future users of the platform. I am grateful to be able to contribute to this project using the knowledge that I have accumulated from my time in the HCDE program, such as user research methods and usability studies. I am also very appreciative of what I was able to learn from Microsoft employees during the Hack for Good event, namely the customer journey mapping exercise we went through. The project is still ongoing, and the next step will be to translate all of the feedback and ideas from Haitian Creole to English. I’m looking forward to keeping in touch with all of the people that I met during my time on this project, and continuing to help Kay Tita with the next iteration of their platform.